Luz Velazquez/Prism Photographer Josh Gonzalez is the current Student Association vice president for multicultural affairs and a senior majoring in geography. According to Josh Gonzalez, the Student Association vice president for multicultural affairs (VPMA) and a senior on a 3+2 fast track to a M.S. in geography, his role is often misunderstood. During the weekend of March 23 through 25, PRISM caught up with Gonzalez, the self-proclaimed “flyest” VPMA, to get the true meaning of what his position entails. 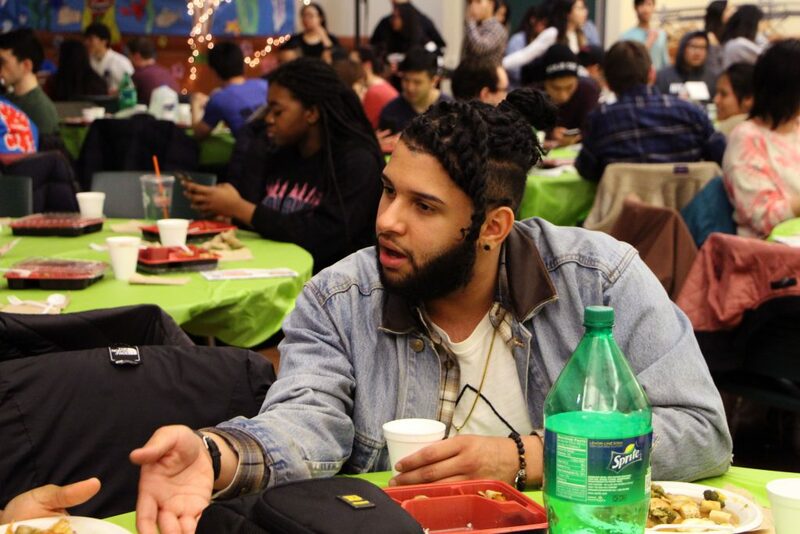 We shadowed Gonzalez as he attended a series of multicultural events. The first event was the African Student Organization’s (ASO) Fashion Show. This year’s theme was based off the 1988 hit film, “Coming to America,” a story about a prince from Zamunda, a fictional African country, who flees his home in search of real love. The fashion show featured a rendition of the movie through skits all while displaying fashion from designers who incorporated African cultural elements into their clothing. Taking place in the Mandela Room in the University Union, roughly 250 students were in attendance. The event was a lively celebration of African culture. The room was so packed that many audience members — including Gonzalez — weren’t able to get a seat. Sporting Balenciaga Triple S Trainer sneakers, a Burberry sweater and Marc Jacobs earrings, Gonzalez stood in awe of the fashion on display. Gonzalez’s cultural experience continued on Saturday night with Barrio Fiesta. Hosted by the Philippine-American League (PAL), Barrio Fiesta happens every spring semester. The show celebrates Philippine culture while telling a story using various art forms, from skits to traditional Philippine dances. As the U.S. national anthem was sung, Gonzalez took a political stance by taking seat for the duration of the performance, honoring Colin Kapernick’s movement to protest police brutality and racial inequality. Through it all, Gonzalez was fascinated with the show as he continuously commented how entranced he was by PAL’s creativity in presenting Philippine culture. The weekend came to a close on Sunday with Japan Night, hosted by the Binghamton University Japanese Association (BUJA). A showcase of Japanese culture, the show was composed of musical performances, choreographed fight scenes and a video story chronicling a fictional story of the club’s president, Toshihiro Yatomi, a senior majoring in business administration, and his journey to Japan Night. Although Gonzalez enjoyed the evening, it was clear that the event-packed weekend was taking a toll on him. Slouched in his chair, Gonzalez’s eyes lowered and though he wasn’t asleep, it was obvious that he needed rest.